This is a square Dixieland Tours porcelain sign. This particular Dixieland Tours sign is green with white and yellow text. 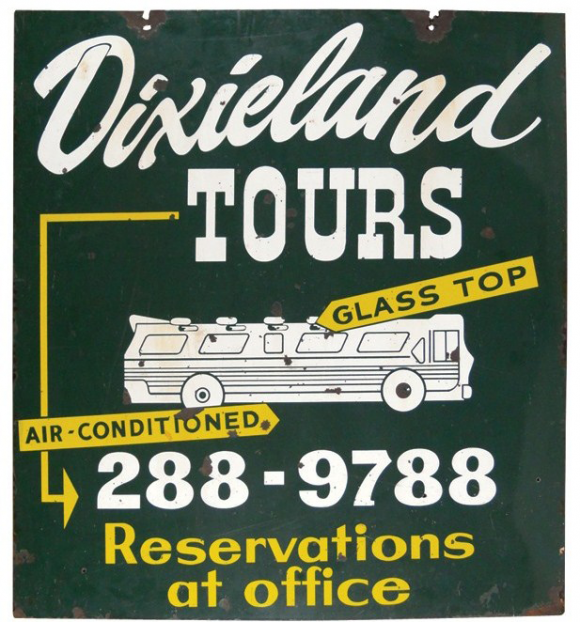 It reads, “Dixieland Tours, Glass Top, Air-Conditioned, 288-9788, Reservations at Office” and features a white Dixieland Tours bus in the center.